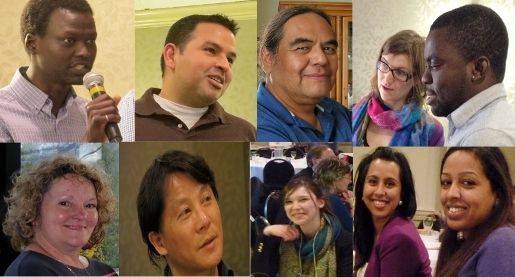 The work of IofC is greatly enhanced by the gifts of time and the skills of many people across Canada. Some step forward for a specific initiative, others take on a longer term commitment. Would you like to volunteer for one of the programs, present an IofC video in your community, put on a fund raising event, train as a facilitator for the Creators of Peace Circles? Contact Admin or one of the program organisers. Mary Ella Keblusek enjoys spending her time helping organizations and individuals operate more effectively, understand each other better, and create programs in alignment with their values. Since 2016, Mary Ella has served IofC Canada as Canadian Program and Operations Coordinator, helping oversee the national office in Ottawa and a variety of programming, teambuilding, and administrative efforts across Canada. She has been involved as a volunteer with IofC Canada since 2011, hosting lunchtime and weekend gatherings to discuss important issues and experiences related to IofC. Since 2012, she has served in various capacities for Initiatives of Change International (based in Geneva), including roles on the Technology Support Group and co-creator of the ‘Living Differently’ program. Currently Mary Ella holds the position of Fundraising Lead on the IofC International Operations Team. Elaine was born and raised in Cork, Ireland, and studied at Alexandra College, Dublin, the Royal Conservatory of Scotland and the Royal School of Music in London, UK. Her parents met IofC when it was called the Oxford Group, and she was brought up knowing about its values and outreach. During her years studying music in the UK, she volunteered with MRA/IofC teams there. She spent the next 11 years working full-time with IofC, using her training in piano, voice and composition as part of the production teams of two MRA musicals, which toured Asia, Europe and the UK. For thirty years, she worked as a music educator, mostly in Ireland on the staff of the CIT Cork School of Music . In 2011, she accepted an invitation from the Board of IofC Canada to base in Ottawa and work on the development of IofC archives, as a “Charitable Worker”. Her motivation in cataloguing the 85 years of IofC Canada’s history was to make available as widely as possible this valuable resource, as a means of assisting the promoting of its mission, assisting governance and being available for the membership and for researchers. The time she has spent in the Ottawa office has given her a familiarity with the national work of IofC, its programs and administration. She considers it a great privilege to have recorded face-to-face interviews and conversations with some of IofC’s “living archives” across the country. In addition, she has enlisted high school volunteers and Ottawa University’s Global and Community Service Learning Department placed students with her in the Ottawa office. Alessandro Anifowose is webmaster for the English site, working alongside Joy Newman; Calgary, AB and Anne Hartnell; Surrey, BC. He took on the role of webmaster for the English language site in June 2009, to update the web with current news, articles, photos, and upcoming events. As a student at the University of Calgary, Alessandro met Alex Ramirez and Monica Lopez as they developed the IofC Club on the university campus. He became a member of the club and went with others from Calgary to Caux, spending part of a summer as a Caux Intern on the IT, Technical and Sound team. Alessandro is based in Calgary and works at Canadian Pacific Railway as a Business Improvement Specialist. Alessandro volunteers as a webmaster because he enjoys helping IofC to reach more people with its message of hope. Leonard Ishimwe is currently an undergraduate at Concordia University in the Biochemistry program. He is from Rwanda, has a high school education in the United States and has been living in Montreal since 2012. He is Webmaster for Initiatives of Change Canada on the French-language site and is primarily responsible for posting new articles, editing photos and updating the website in general. He loves and appreciates being able to help spread the message of I & C peace and solidarity around the world. Some of his interests include literature, sports activities, mainly basketball, and also community work through university organizations.